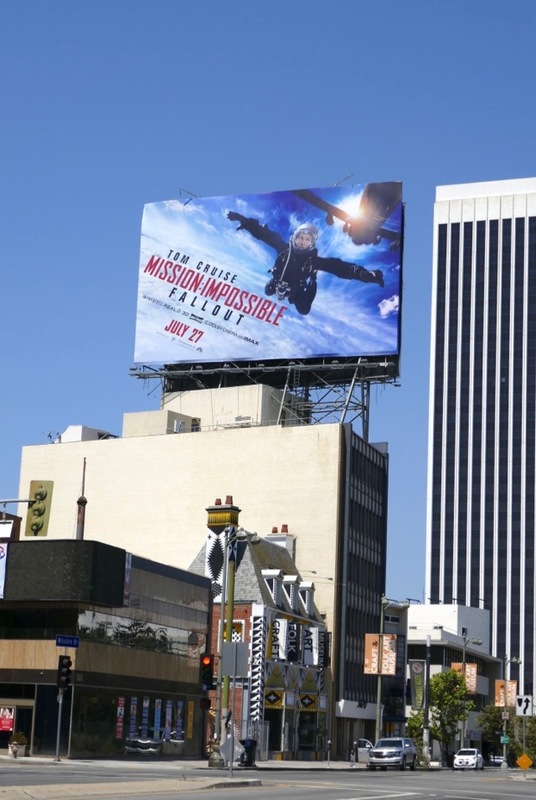 This summer Tom Cruise is (HALO) jumping back into action in Mission: Impossible - Fallout. 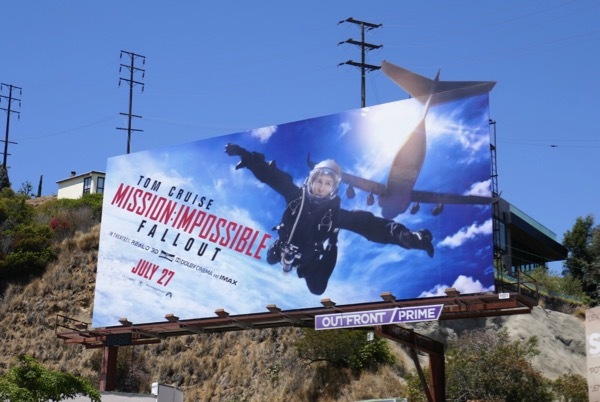 Following poorly performing box office outings for The Mummy reboot and American Made, it looks like Tom Cruise will do anything to provide the summer thrills, even breaking his ankle leaping from building to building in one of the film's high octane stunts. 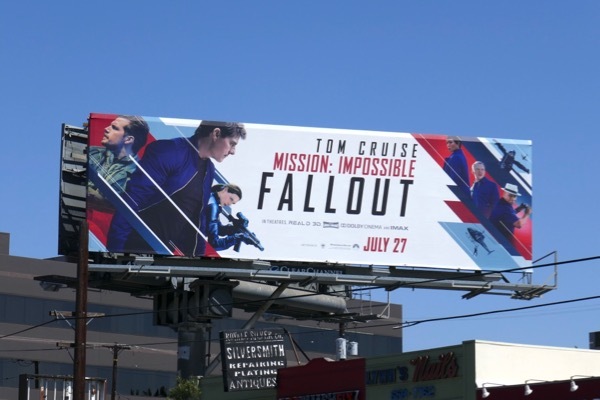 In this sixth installment in the action espionage franchise 'Ethan Hunt' and his team of IMF agents must deal with the fallout of a mission gone wrong, which leads to atomic problems for the operatives. 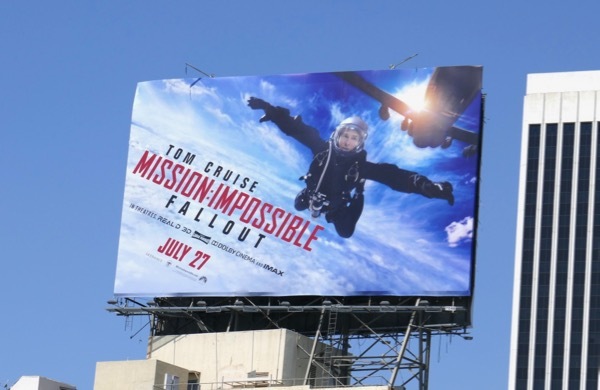 This time around after the leader of the sinister Syndicate escapes, IMF finds itself in the cross hairs of the CIA led by Angela Bassett and targeted by Henry Cavill's menacing mustache-wearing hitman, whilst Rebecca Ferguson's British spy 'Isla Faust' returns and Ving Rhames and Simon Pegg continue to have Ethan's back in the field. 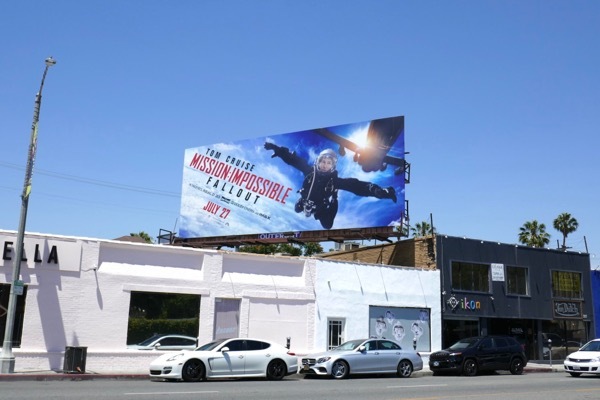 Can Ethan and his crew evade assassins and former allies in order to prevent global catastrophe, all the while diving from planes, racing motorbikes and sprinting towards trouble. 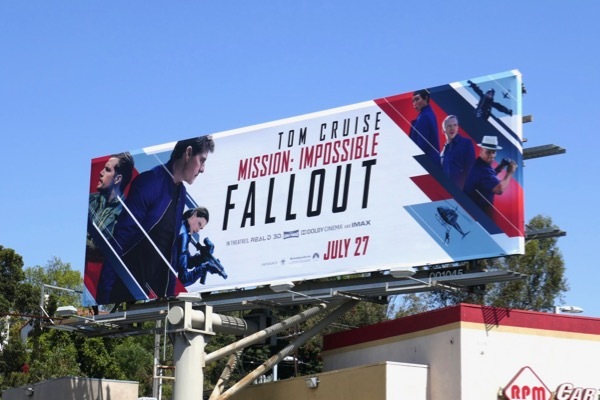 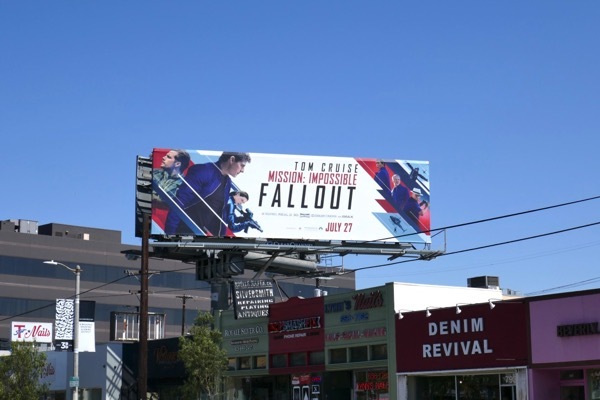 These eye-catching billboards for the spy thriller were photographed along the Sunset Strip, La Brea Avenue, Melrose Avenue and L.A.'s 3rd Street from July 3 to July 14, 2018. 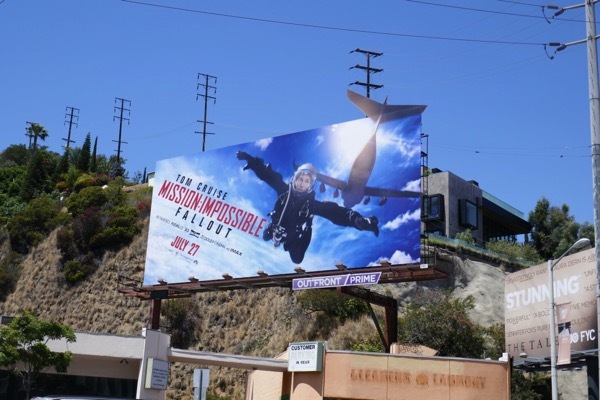 Fans of the stunt-packed film franchise can also enjoy these previous Mission: Impossible movie billboards. 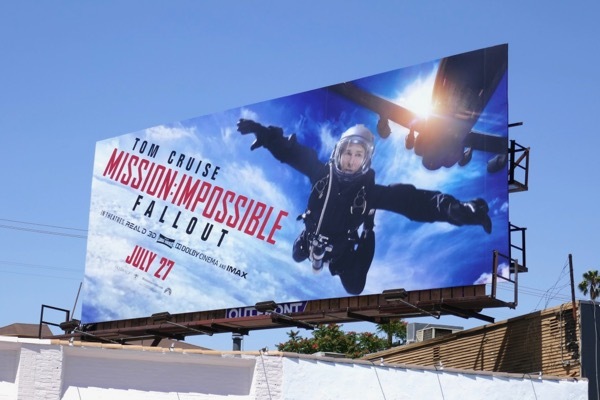 Meanwhile Tom Cruise admirers can also check out these Jack Reacher movie billboards, these Rock of Ages movie billboards and these Oblivion movie billboards. 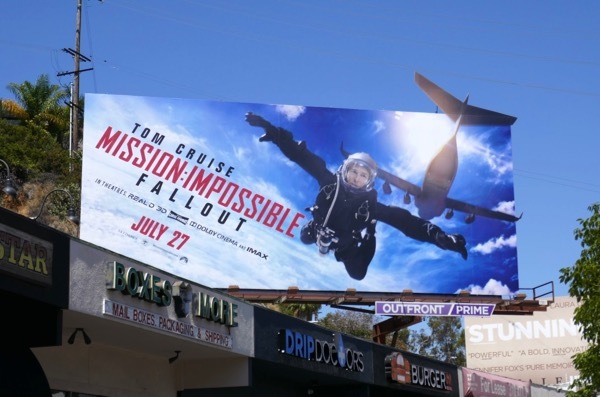 Your mission if you choose to accept it is to round up some friends, grab a bucket of popcorn and strap yourself in for another wild ride.